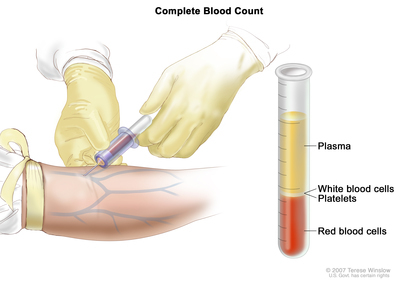 Tests that examine the blood and bone marrow are used to detect (find) and diagnose chronic myeloproliferative neoplasms. Whether there are red blood cells shaped like teardrops. 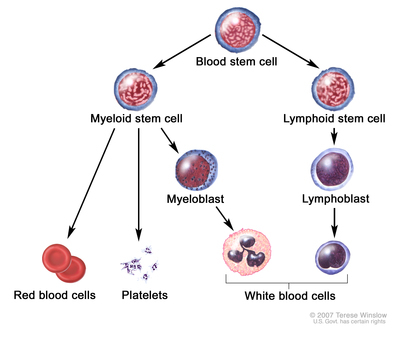 The number and kinds of white blood cells. Whether there are blast cells. Cytogenetic analysis: A test in which cells in a sample of blood or bone marrow are viewed under a microscope to look for certain changes in the chromosomes. Certain diseases or disorders may be diagnosed or ruled out based on the chromosomal changes. 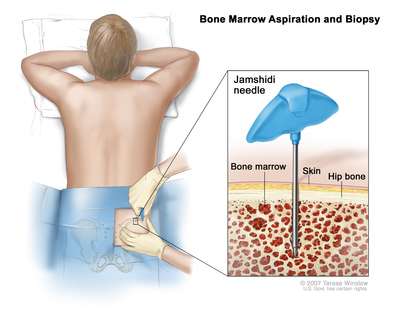 Gene mutation test: A laboratory test done on a bone marrow or blood sample to check for mutations in JAK2, MPL, or CALR genes. 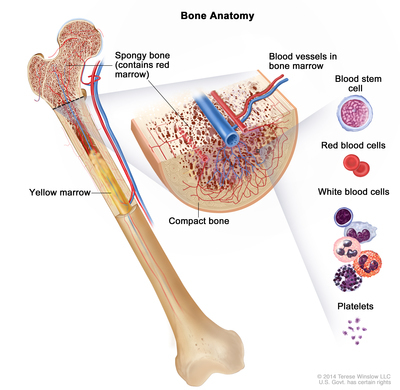 A JAK2 gene mutation is often found in patients with polycythemia vera, essential thrombocythemia, or primary myelofibrosis. MPL or CALR gene mutations are found in patients with essential thrombocythemia or primary myelofibrosis.